Do you know your great-great-great-great-great-great-great-great-great-great-great-great-great-great-great-great-great-great-great-great-great-great-great-great-great-great-great-great-great-grandfathers? This past summer I spent a few weeks in Israel and then in Iceland (with brief visits to the Oxford workshop on Biological Sequence Analysis and Probabilistic Models, and to IST Austria). This is the first of two posts about my travels. I have been a regular visitor to Iceland during the past 12 years, and every visit is associated with unforgettable unique and extraordinary experiences. I have climbed volcanos and I’ve descended into their depths. I have enjoyed geothermal heating- both in swimming pools and at the beach. And I have seen incredible Aurora Borealis. A couple of years ago I even got married there. Iceland is indeed a beautiful place. But the most amazing thing about the country… is a truly remarkable and extraordinary… website. It is called Islendingabók, and is not to be confused with the book Islendingabók (Book of Icelanders) from which it borrowed its name. 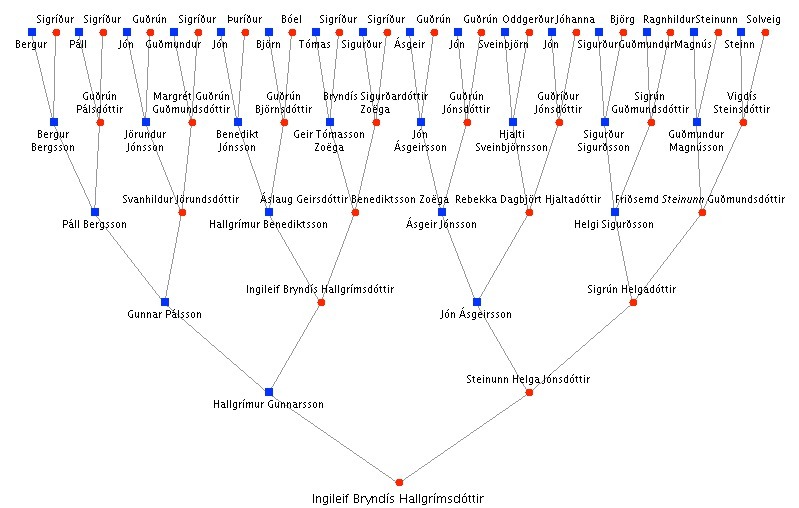 Islendingabók (the website) is a collaboration between the company deCODE Genetics and a computer scientist Friðrik Skúlason, who together set up a searchable genealogical database of Icelanders. 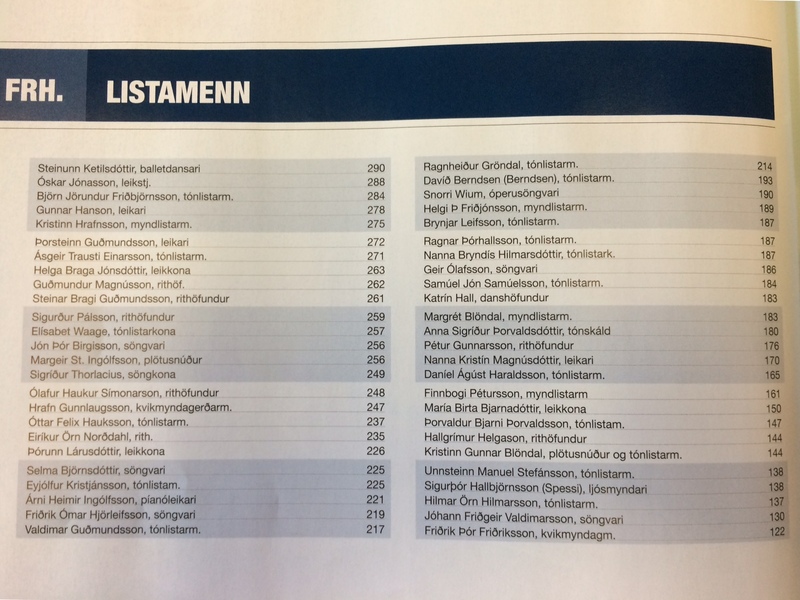 The genealogy can only be browsed by registered users, and registration is currently limited to citizens and residents with an Icelandic kennitala (social security number). 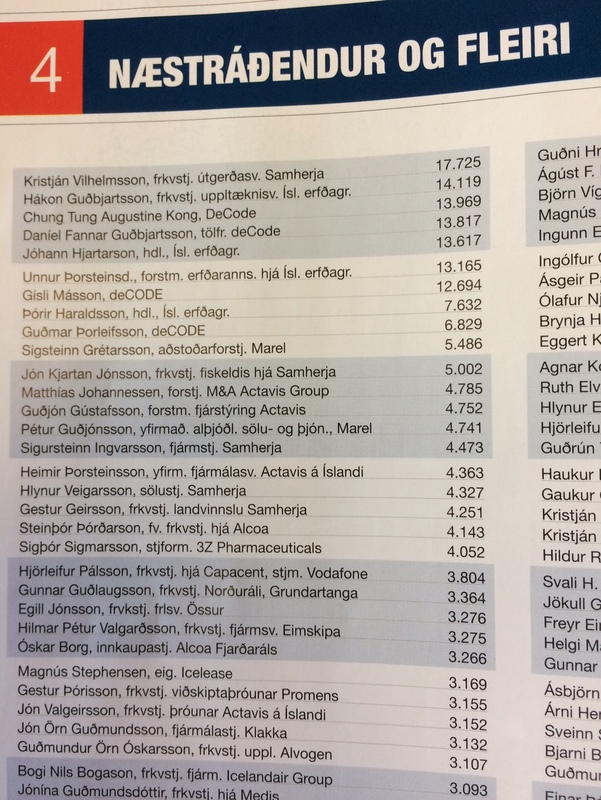 Many people have heard that Iceland has kept “good” records, but I don’t think the scope and power of the database is generally understood. Even geneticists I have talked to typically don’t have a clue about how detailed and thorough the database is. At the risk of hyperbole, I am blown away every time I look at it. There is nothing like it in the world. Another naming convention is apparent in the repetition of names (modulo 2 generations) and its coupling to the patronymic naming system. Notice the switch from Ásgeir Jónsson -> Jón Ásgeirsson -> Ásgeir Jónsson and so on. Traditions run deep. 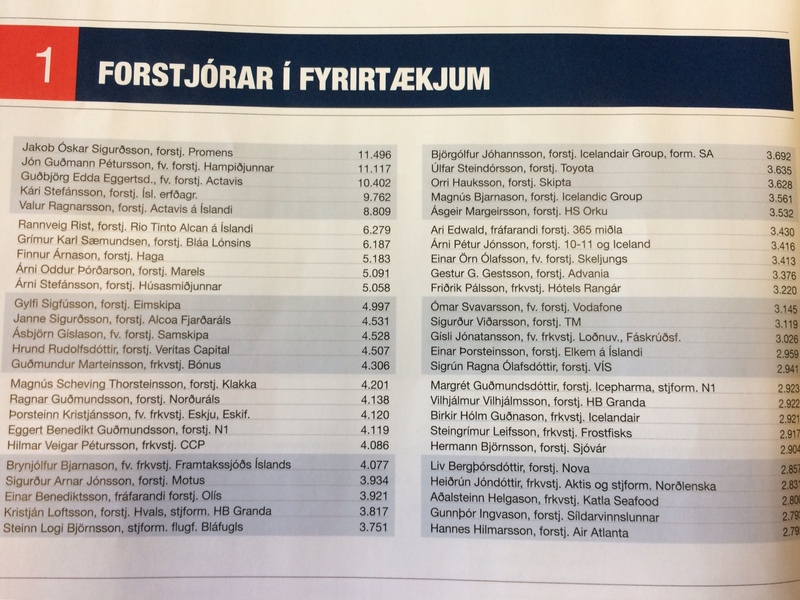 For example, my daughter Steinunn Liorsdóttir is named after her grandmother, Steinunn Jónsdóttir, who is named after her grandmother, Steinunn Guðmundsdóttir, who is named after her grandmother, Steinunn Hannesdóttir, who is named after her grandmother, Steinunn Eyjólfsdóttir (born 1788). 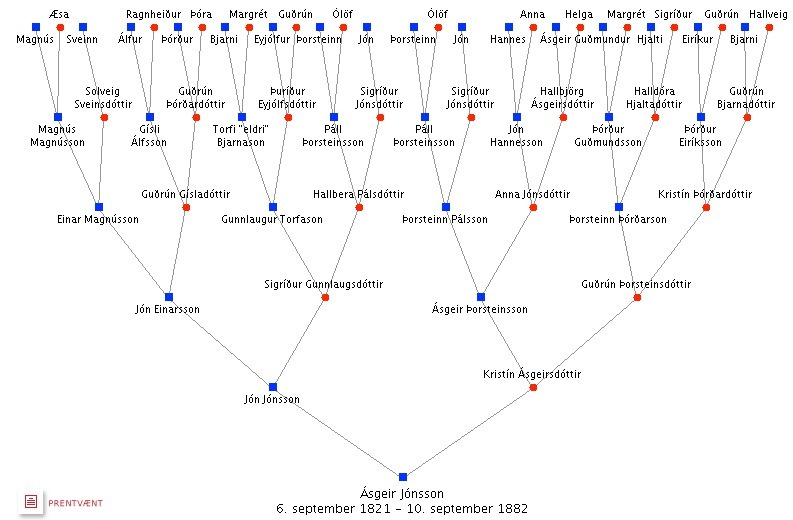 Every time I look at Icelandic ancestry chains like this I find my mind forced to stretch to accommodate a broader perspective of history. I begin to think in terms of dozens or hundreds of generations, and what humans have been doing on those timescales. In comparison to Icelandic genetics, other population genetic studies, such as the interesting recent study on Ashkenazi Jews by Itsik Pe’er’s group, are the blur of Gerhard Richter compared to the hyperrealism of Denis Peterson. Typically the salaries of about 1% of the population are estimated and published (this year approximately 3,000 people). Along with publicly available tax records, many other databases are public, for example for many years school records of all students (i.e. grades) were published annually. One can start to imagine all sorts of creative GWAS…Again, as with the genealogy, I can think of no other country in the world with anything like this. Iceland’s genealogy is embedded deeply into the public psyche, to the extent that I think it’s fair to say that the national identity is constructed around it. After all, it’s hard to argue with someone that they are Icelandic when their ancestry traces back to the first settler. At the same time, like many nations in Europe and around the world, the country is becoming increasingly cosmopolitan, and the genealogy tree is beginning to look a lot more like a trimmed rosebush. 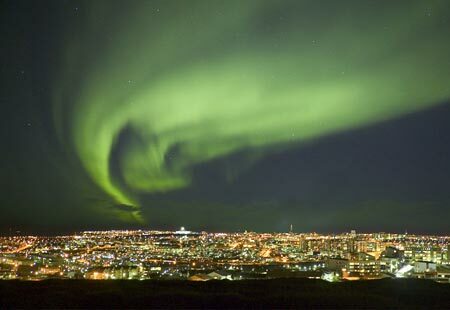 Like many other nations, Icelanders are having to confront the questions “Who is an Icelander? What is an Icelander?” Ultimately, the answer cannot and will not come from genetics. Nature Publishing Group claims on its website that it is committed to publishing “original research” that is “of the highest quality and impact”. But when exactly is research “original”? This is a question with a complicated answer. A recent blog post by senior editor Dorothy Clyde at Nature Protocols provides insight into the difficulties Nature faces in detecting plagiarism, and identifies the issue of self plagiarism as particularly problematic. The journal tries to avoid publishing the work of authors who have previously published the same work or a minor variant thereof. I imagine this is partly in the interests of fairness, a service to the scientific community to ensure that researchers don’t have to sift through numerous variants of a single research project in the literature, and a personal interest of the journal in its aim to publish only the highest level of scholarship. After getting my degree, I worked for a few years in functional analysis. I bought a copy of Frederick Riesz’ Collected Papers as soon as the big thick heavy oversize volume was published. However, as I began to leaf through, I could not help but notice that the pages were extra thick, almost like cardboard. Strangely, each of Riesz’ publications had been reset in exceptionally large type. I was fond of Riesz’ papers, which were invariably beautifully written and gave the reader a feeling of definitiveness. As I looked through his Collected Papers however, another picture emerged. The editors had gone out of their way to publish every little scrap Riesz had ever published. It was clear that Riesz’ publications were few. What is more surprising is that the papers had been published several times. Riesz would publish the first rough version of an idea in some obscure Hungarian journal. A few years later, he would send a series of notes to the French Academy’s Comptes Rendus in which the same material was further elaborated. A few more years would pass, and he would publish the definitive paper, either in French or in English. Adam Koranyi, who took courses with Frederick Riesz, told me that Riesz would lecture on the same subject year after year, while meditating on the definitive version to be written. No wonder the final version was perfect. Riesz’ example is worth following. The mathematical community is split into small groups, each one with its own customs, notation and terminology. It may soon be indispensable to present the same result in several versions, each one accessible to a specific group; the price one might have to pay otherwise is to have our work rediscovered by someone who uses a different language and notation, and who will rightly claim it as his own. The question is: where does one draw the line? J.A. Gagnon-Bartsch and T.P. Speed, Using control genes to corrected for unwanted variation in microarray data, Biostatistics, 2012. A cornerstone in the logic and methodology of biology is the notion of a “control”. For example, when testing the result of a drug on patients, a subset of individuals will be given a placebo. This is done to literally control for effects that might be measured in patients taking the drug, but that are not inherent to the drug itself. By examining patients on the placebo, it is possible to essentially cancel out uninteresting effects that are not specific to the drug. In modern genomics experiments that involve thousands, or even hundreds of thousands of measurements, there is a biological question of how to design suitable controls, and a statistical question of how to exploit large numbers of controls to “normalize” (i.e. remove unwanted variation) from the high-dimensional measurements. Here X is a matrix describing various conditions (also called factors) and associated to it is the parameter matrix that records the contribution, or influence, of each factor on each gene. is the primary parameter of interest to be estimated from the data Y. The are random noise, and finally Z and W are observed and unobserved covariates respectively. For example Z might encode factors for covariates such as gender, whereas W would encode factors that are hidden, or unobserved. A crucial point is that the number of hidden factors in W, namely k, is not known. The matrices and record the contributions of the Z and W factors on gene expression, and must also be estimated. It should be noted that X may be the logarithm of expression levels from a microarray experiment, or the analogous quantity from an RNA-Seq experiment (e.g. log of abundance in FPKM units). Linear models have been applied to gene expression analysis for a very long time; I can think of papers going back 15 years. But They became central to all analysis about a decade ago, specifically popularized with the Limma package for microarray data analysis. In an important paper in 2007, Leek and Storey focused explicitly on the identification of hidden factors and estimation of their influence, using a method called SVA (Surrogate Variable Analysis). Mathematically, they described a procedure for estimating k and W and the parameters . I will not delve into the details of SVA in this post, except to say that the overall idea is to first perform linear regression (assuming no hidden factors) to identify the parameters and to then perform singular value decomposition (SVD) on the residuals to identify hidden factors (details omitted here). The resulting identified hidden factors (and associated influence parameters) are then used in a more general model for gene expression in subsequent analysis. That is, for such control genes the corresponding parameters are zero. This is a simple but powerful observation, because the explicit designation of control genes in the procedure makes it clear how to estimate W, and therefore the procedure becomes conceptually compelling and practically simple to implement. Thus, even though the model being used is the same as that of Leek & Storey, there is a novel idea in the paper that makes the procedure “cleaner”. Indeed, Gagnon-Bartsch & Speed provide experimental results in their paper showing that RUV-2 outperforms SVA. Even more convincing, is the use of RUV-2 by others. For example, in a paper on “The functional consequences of variation in transcription factor binding” by Cusanovitch et al., PLoS Genetics 2014, RUV-2 is shown to work well, and the authors explain how it helps them to take advantage of the controls in experimental design they created. The wrong side of the line? D. Risso, J. Ngai, T.P. Speed, S. Dudoit, The role of spike-in standards in the normalization of RNA-Seq, in Statistical Analysis of Next Generation Sequencing Data (2014), 169-190.
the authors replace “log expression levels” from microarrays with “log counts” from RNA-Seq and the linear regression performed with Limma for RUV-2 with a Poisson regression (this involves one different R command). They call the new method RUV, which is the same as the previously published RUV, a naming convention that makes sense since the paper has no new method. In fact, the mathematical formulas describing the method are identical (and even in almost identical notation!) with the exception that the book chapter ignores Z altogether, and replaces with O. To be fair, there is one added highlight in the book chapter, namely the observation that spike-ins can be used in lieu of housekeeping (or other control) genes. The method is unchanged, of course. It is just that the spike-ins are used to estimate W. Although spike-ins were not mentioned in the original Gagnon-Bartsch paper, there is no reason not to use them with arrays as well; they are standard with Affymetrix arrays. My one critique of the chapter is that it doesn’t make sense to me that counts are used in the procedure. I think it would be better to use abundance estimates, and in fact I believe that Jeff Leek has already investigated the possibility in a preprint that appears to be an update to his original SVA work. That issue aside, the book chapter does provide concrete evidence using a Zebrafish experiment that RUV-2 is relevant and works for RNA-Seq data. D. Risso, J. Ngai, T.P. Speed, S. Dudoit, Normalization of RNA-Seq data using factor analysis of control genes or samples, Nature Biotechnology 32 (2014), 896-902. This paper has the same authors as the book chapter (with the exception that Sandrine Dudoit is now a co-corresponding author with Davide Risso, who was the sole corresponding author on the first publication), and, it turns out, it is basically the same paper… in fact in many parts it is the identical paper. It looks like the Nature Biotechnology paper is an edited and polished version of the book chapter, with a handful of additional figures (based on the same data) and better graphics. I thought that Nature journals publish original and reproducible research papers. I guess I didn’t realize that for some people “reproducible” means “reproduce your own previous research and republish it”. At this point, before drawing attention to some comparisons between the papers, I’d like to point out that the book chapter was refereed. This is clear from the fact that it is described as such in both corresponding authors’ CVs. How similar are the two papers? Internal and external controls are essential for the analysis of high-throughput data and spike-in sequences have the potential to help researchers better adjust for unwanted technical effects. 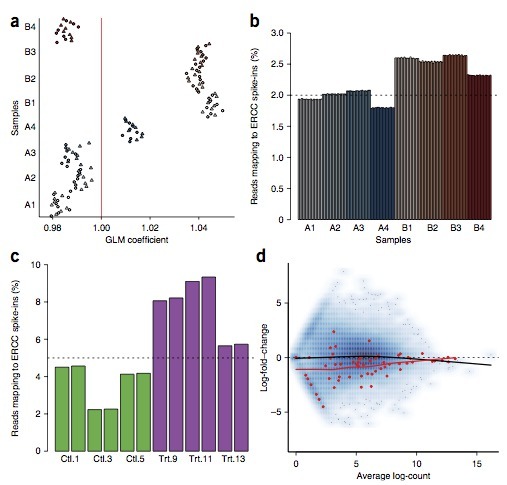 With the advent of single-cell sequencing , the role of spike-in standards should become even more important, both to account for technical variability  and to allow the move from relative to absolute RNA expression quantification. It is therefore essential to ensure that spike-in standards behave as expected and to develop a set of controls that are stable enough across replicate libraries and robust to both differences in library composition and library preparation protocols. Internal and external controls are essential for the analysis of high-throughput data and spike-in sequences have the potential to help researchers better adjust for unwanted technical factors. With the advent of single-cell sequencing27, the role of spike-in standards should become even more important, both to account for technical variability28 and to allow the move from relative to absolute RNA expression quantification. It is therefore essential to ensure that spike- in standards behave as expected and to develop a set of controls that are stable enough across replicate libraries and robust to both differences in library composition and library preparation protocols. Normalization of RNA-seq data is essential to ensure accurate inference of expression levels, by adjusting for sequencing depth and other more complex nuisance effects, both within and between samples. Recently, the External RNA Control Consortium (ERCC) developed a set of 92 synthetic spike-in standards that are commercially available and relatively easy to add to a typical library preparation. In this chapter, we compare the performance of several state-of-the-art normalization methods, including adaptations that directly use spike-in sequences as controls. We show that although the ERCC spike-ins could in principle be valuable for assessing accuracy in RNA-seq experiments, their read counts are not stable enough to be used for normalization purposes. We propose a novel approach to normalization that can successfully make use of control sequences to remove unwanted effects and lead to accurate estimation of expression fold-changes and tests of differential expression. Normalization of RNA-sequencing (RNA-seq) data has proven essential to ensure accurate inference of expression levels. Here, we show that usual normalization approaches mostly account for sequencing depth and fail to correct for library preparation and other more complex unwanted technical effects. We evaluate the performance of the External RNA Control Consortium (ERCC) spike-in controls and investigate the possibility of using them directly for normalization. We show that the spike-ins are not reliable enough to be used in standard global-scaling or regression-based normalization procedures. We propose a normalization strategy, called remove unwanted variation (RUV), that adjusts for nuisance technical effects by performing factor analysis on suitable sets of control genes (e.g., ERCC spike-ins) or samples (e.g., replicate libraries). Our approach leads to more accurate estimates of expression fold-changes and tests of differential expression compared to state-of-the-art normalization methods. In particular, RUV promises to be valuable for large collaborative projects involving multiple laboratories, technicians, and/or sequencing platforms. Microarray expression studies suffer from the problem of batch effects and other unwanted variation. Many methods have been proposed to adjust microarray data to mitigate the problems of unwanted variation. Several of these methods rely on factor analysis to infer the unwanted variation from the data. A central problem with this approach is the difficulty in discerning the unwanted variation from the biological variation that is of interest to the researcher. We present a new method, intended for use in differential expression studies, that attempts to overcome this problem by restricting the factor analysis to negative control genes. Negative control genes are genes known a priori not to be differentially expressed with respect to the biological factor of interest. Variation in the expression levels of these genes can therefore be assumed to be unwanted variation. We name this method “Remove Unwanted Variation, 2-step” (RUV-2). We discuss various techniques for assessing the performance of an adjustment method and compare the performance of RUV-2 with that of other commonly used adjustment methods such as Combat and Surrogate Variable Analysis (SVA). We present several example studies, each concerning genes differentially expressed with respect to gender in the brain and find that RUV-2 performs as well or better than other methods. Finally, we discuss the possibility of adapting RUV-2 for use in studies not concerned with differential expression and conclude that there may be promise but substantial challenges remain. Basically the whole of the book chapter and the Nature Biotechnology paper are essentially the same, down to the math notation, which even two papers removed is just a rehashing of the RUV method of Gagnon-Bartsch & Speed. A complete diff of the papers is beyond the scope of this blog post and technically not trivial to perform, but examination by eye reveals one to be a draft of the other. Although it is acceptable in the academic community to draw on material from published research articles for expository book chapters (with permission), and conversely to publish preprints, including conference proceedings, in journals, this case is different. (a) the book chapter was refereed, exactly like a journal publication (b) the material in the chapter is not expository; it is research, (c) it was published before the Nature Biotechnology article, and presumably prepared long before, (d) the book chapter cites the Nature Biotechnology article but not vice versa and (e) the book chapter is not a particularly innovative piece of work to begin with. The method it describes and claims to be “novel”, namely RUV, was already published by Gagnon-Bartsch & Speed. “An entertaining freshness… Tic Tac!” This is Ferrero‘s tag line for its most successful product, the ubiquitous Tic Tac. And the line has stuck. As WikiHow points out in how to make your breath fresh: first buy some mints, then brush your teeth. One of the amazing things about Tic Tacs is that they are sugar free. Well… almost not. As the label explains, a single serving (one single Tic Tac) contains 0g of sugar (to be precise, less than 0.5g, as explained in a footnote). In what could initially be assumed to be a mere coincidence, the weight of a single serving is 0.49g. It did not escape my attention that 0.50-0.49=0.01. Why? 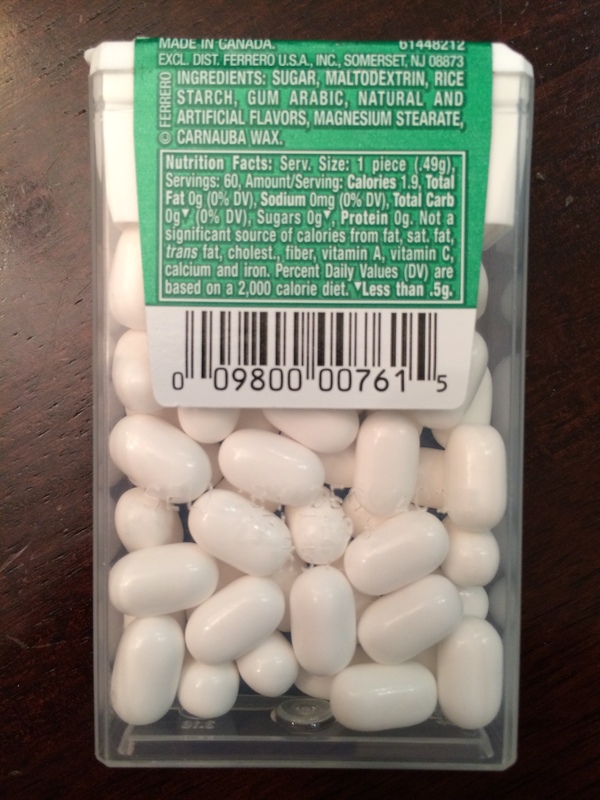 It turns out that Tic Tacs are in fact almost pure sugar. Its easy to figure this out by looking at the number of calories per serving (1.9) and multiplying the number of calories per gram of sugar (3.8) by 0.49 => 1.862 calories. 98% sugar! Ferrero basically admits this in their FAQ. Acting completely within the bounds of the law, they have simply exploited an arbitrary threshold of the FDA. Arbitrary thresholds are always problematic; not only can they have unintended consequences, but they can be manipulated to engineer desired outcomes. In computational biology they have become ubiquitous, frequently being described as “filters” or “pre-processing steps”. Regardless of how they are justified, thresholds are thresholds are thresholds. They can sometimes be beneficial, but they are dangerous when wielded indiscriminately. There is one type of thresholding/filtering in used in RNA-Seq that my postdoc Bo Li and I have been thinking about a bit this year. It consists of removing duplicate reads, i.e. reads that map to the same position in a transcriptome. The motivation behind such filtering is to reduce or eliminate amplification bias, and it is based on the intuition that it is unlikely that lightning strikes the same spot multiple times. That is, it is improbable that many reads would map to the exact same location assuming a model for sequencing that posits selecting fragments from transcripts uniformly. The idea is also called de-duplication or digital normalization. Digital normalization is obviously problematic for high abundance transcripts. Consider, for example, a transcripts that is so abundant that it is extremely likely that at least one read will start at every site (ignoring the ends, which for the purposes of the thought experiment are not relevant). This would also be the case if the transcript was twice as abundant, and so digital normalization would prevent the possibility for estimating the difference. This issue was noted in a paper published earlier this year by Zhou et al. The authors investigate in some detail the implications of this problem, and quantify the bias it introduces in a number of data sets. But a key question not answered in the paper is what does digital normalization actually do? To answer the question, it is helpful to consider how one might estimate the abundance of a transcript after digital normalization. One naive approach is to just count the number of reads after de-duplication, followed by normalization for the length of the transcript and the number of reads sequenced. Specifically if there are n sites where a read might start, and k of the sites had at least one read, then the naive approach would be to use the estimate suitably normalized for the total number of reads in the experiment. This is exactly what is done in standard de-duplication pipelines, or in digital normalization as described in the preprint by Brown et al. However assuming a simple model for sequencing, namely that every read is selected by first choosing a transcript according to a multinomial distribution and then choosing a location on it uniformly at random from among the sites, a different formula emerges. This is the same as the (derivation of the) Jukes-Cantor correction in phylogenetics where the method of moments equation is replaced by yielding , but I’ll leave an extended discussion of the Jukes-Cantor model and correction for a future post. The point here, as noticed by Bo Li, is that since by Taylor approximation, it follows that the average coverage can be estimated by . This is exactly the naive estimate of de-duplication or digital normalization, and the fact that as means that blows up, at high coverage hence the results of Zhou et al. Digital normalization as proposed by Brown et al. involves possibly thresholding at more than one read per site (for example choosing a threshold C and removing all but at most C reads at every site). But even this modified heuristic fails to adequately relate to a probabilistic model of sequencing. One interesting and easy exercise is to consider the second or higher order Taylor approximations. But a more interesting approach to dealing with amplification bias is to avoid thresholding per se, and to instead identify outliers among duplicate reads and to adjust them according to an estimated distribution of coverage. This is the approach of Hashimoto et al. in a the paper “Universal count correction for high-throughput sequencing” published in March in PLoS One. There are undoubtedly other approaches as well, and in my opinion the issue will received renewed attention in the coming year as the removal of amplification biases in single-cell transcriptome experiments becomes a priority. Alas, Tic Tac thresholds are everywhere. My advice is: brush your teeth first.